If you are approved, then your refund will be processed, and a credit will automatically be applied to your credit card or original method of payment, within a certain amount of days. There will be a 10% restocking fee on any returned items. No returns on discounted or promotional items. If you’ve done all of this and you still have not received your refund yet, please contact us at teamshermanenterprises@gmail.com. We only replace items if they are defective or damaged. 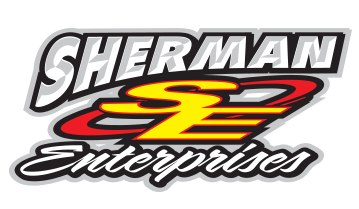 If you need to exchange it for the same item, send us an email at teamshermanenterprises@gmail.com and send your item to: Sherman Enterprises (attn. Brennan Sherman) 4426 S 100 W, , ALBION, Indiana 46701 United States. To return your product, you should mail your product to: Sherman Enterprises (attn. Brennan Sherman) 4426 S 100 W, , ALBION, Indiana 46701 United States.